Jazz vocalist Carla Cook is sensational. Her music touches your heart in a special way. I met her at the Monterey Jazz Festival and she is so cool and super nice. If you do not have her latest MAXJAZZ release, Simply Natural, run out get it along with Dem Bones and It’s All About Love. Please welcome Carla to the j-notes Jazz Lounge. j-notes.com: Your musical selections cover all genres of music. How would you describe your singing style? j-notes.com: When did you know that you wanted to sing and if you were not singing, what would you be doing? j-notes.com: How do select the gospel hymns that are included on your albums? Would you consider doing an album of jazz infused gospel hymns? j-notes.com: Who would like to sing a duet with? j-notes.com: When will you be going back into the studio? j-notes.com: Where would you like to see yourself in ten years? j-notes.com: How well did you do with your gardening this year? Thanks Carla and continued blessings to you!!! Please read more about Carla, including her upcoming tour dates, on her MAXJAZZ homepage or her personal site, carlacook.com. This entry was posted on Thursday, October 16th, 2003 at 12:34 am. 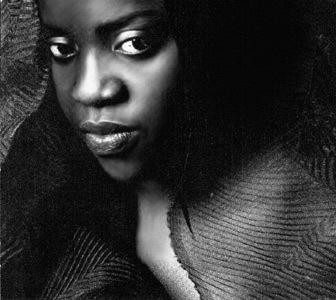 It is filed under Artist Interviews and tagged with Artist Interview, Carla Cook, jazz. You can follow any responses to this entry through the RSS 2.0 feed. another interesting interview. i will try to listen to some of her songs, thanks again for sharing info on another artist. You are interviewing Carla Cook. I am so full of haterade I will have to return o read it. Okay, I’m over my hate. The interview was sweet, you lucky thing.